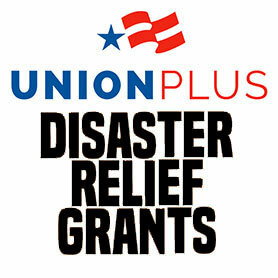 If you are a union member who participates in certain Union Plus programs and have been affected by Hurricanes Harvey, Irma and Maria, you may be eligible for financial assistance through the Union Plus Disaster Relief Grant program. The Union Plus Disaster Relief Fund has provided nearly $1 million in assistance to union members facing hardships following Hurricanes Sandy and Katrina, floods, wildfires and other natural disasters. For more information on disaster grants and eligibility requirements, visit the Union Plus webpages for Hurricane Harvey , Hurricane Irma  or Hurricane Maria .